How much fruitiness can you take? 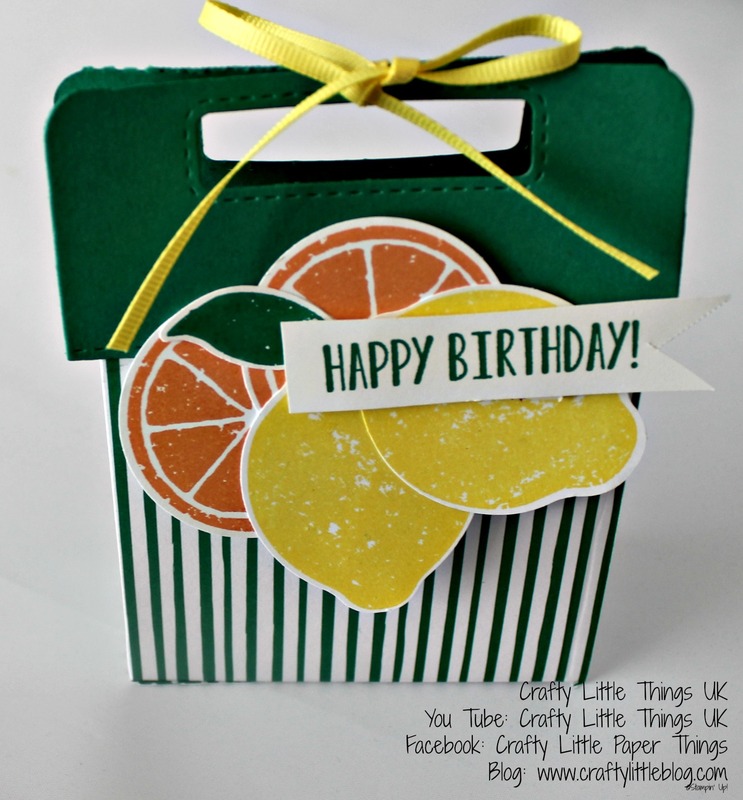 I just love this cute little gift bag which holds some gorgeous citrus drops. I remember dad always having tinned travel sweets and those powdered little lemon and orange drops were the best. It's quite fitting that I have that memory today as it would have been my dad's 90th birthday! This is a simple fun little gift bag using a fab, nifty little die to make the handles of the bag in a totally fuss free way! There is a video tutorial so have fun watching that and there's a link in the description to the super handy die.